From August 31 to September 12, 2016, 12 undergraduate students from the Faculty of Arts (of whom, 6 were first year students) took part in this academic year's training program at Oxford University. This program aims for students belonging to the Faculty of Arts to develop into human resources of a kind who exemplify the arts and humanities in our global age. Participants in this program at Oxford University are expected not only to undertake language training but to also learn from academic programs specializing in the arts and humanities and, through extracurricular study, give a presentation in English outlining the results of their own research. In addition to their studies, by undertaking a homestay during their time in the UK, another goal is for students to familiarize themselves with local people and culture and gain real experiences of British culture that would otherwise not be possible through books alone. Students departed from Narita Airport on August 31 on a KLM Royal Dutch Airlines flight, and arrived in London via Amsterdam. Upon arrival, they travelled to Oxford on a bus and went straight to their host families for the homestay. On September 1, the following day, students spent the morning (9:00 - 12:30) at Oxford Union and Jesus College listening to lectures from some of the university's elite faculty members, including experts on the history of art, psychology and sociology, business as a way of life, English literature and journalism. In the afternoon, they took in some of Oxford's sights accompanied by faculty members and held meetings relating to their presentations. 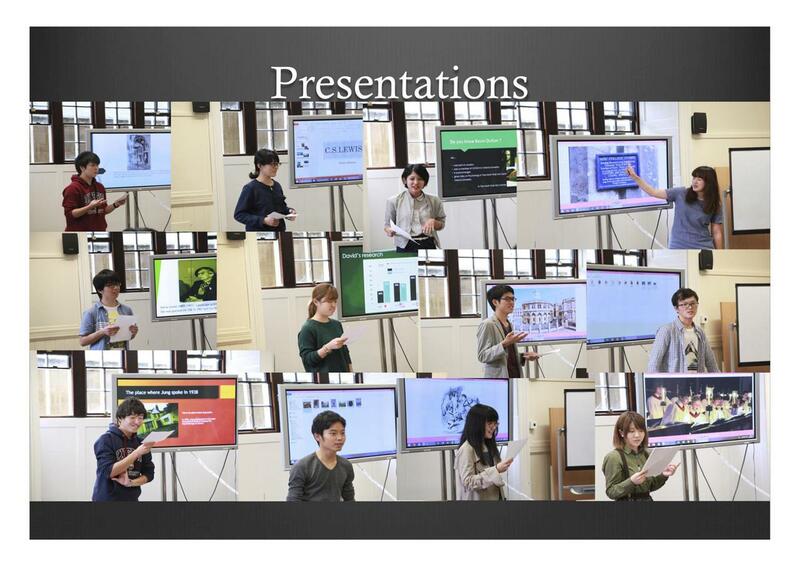 On the final day, each student gave a presentation in English ranging from 15 to 20 minutes. They gave inspiring presentations using PowerPoint and without reading from a script. The faculty members were all extremely impressed with the content of their presentations. 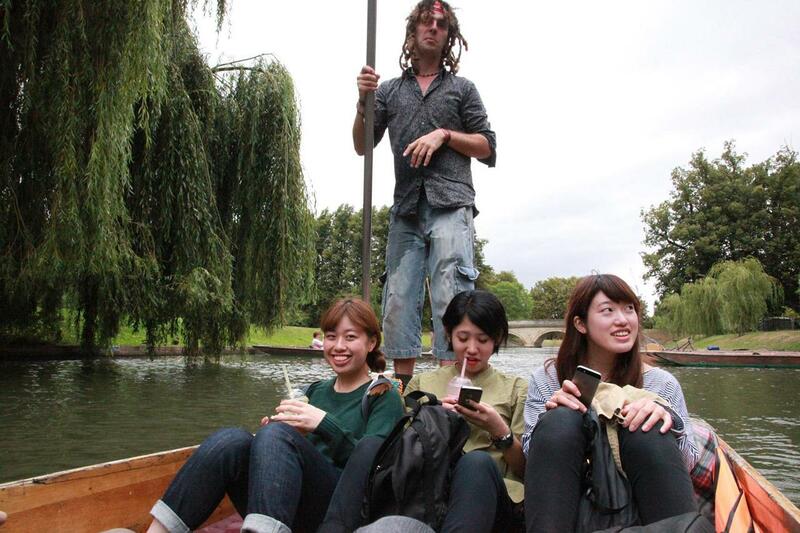 During their free time, the students visited Cambridge and experienced traditional punting with Professor Tsukusu Ito, who had accompanied them for the duration of the program, and visited museums etc. in London. 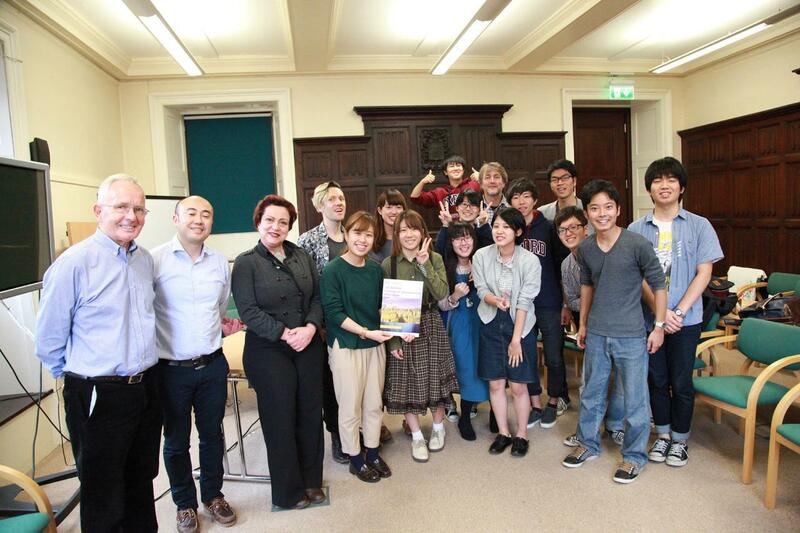 One particularly memorable event happened on the evening of September 2, when Associate Professor Hiroshi Notsu arranged for them to participate in a dinner party in a Christ Church. They were able to enjoy a magnificent evening dressed in formal attire. Through this training program, students were able to understand that academic fields in the arts and humanities should be studied as something which transcends the barriers of language, and I believe that the program inspired them to consider engaging in long term overseas study programs or moving into careers with an international scope. The students were able to receive funding for this training program through the Shinshu University Chi no Mori Scholarship. We wish to extend our gratitude for making this possible.